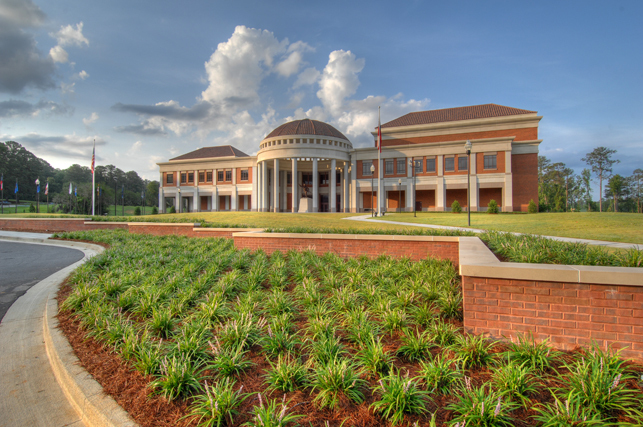 Huber & Associates has over 40 years of experience designing, molding, and installing custom clay tiles. Call us today! Clay tile roofing is a stylish alternative to conventional shingles and one that has a uniquely natural look and feel. Though it’s most commonly associated with historical homes, it’s also a great choice for today’s modern, design-conscious properties, as well as for eco-friendly homes. 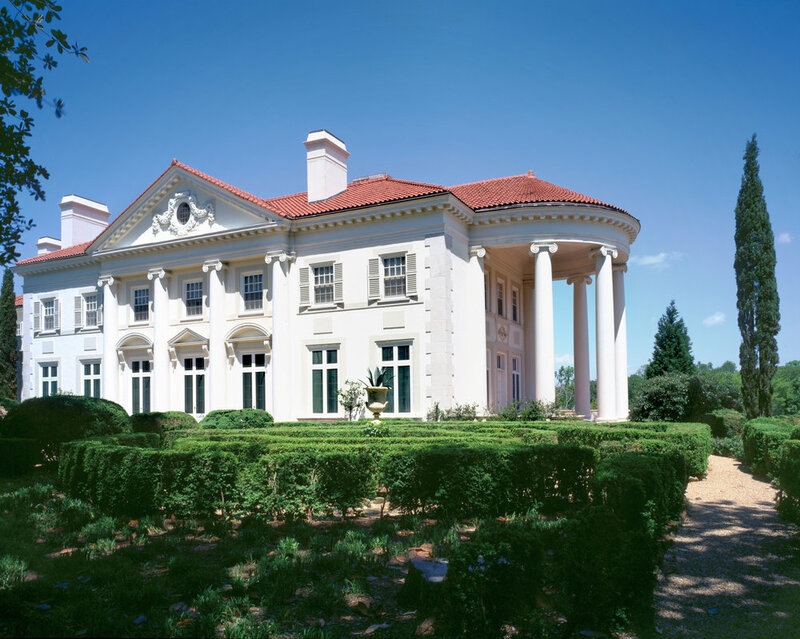 Barry Huber and the Huber & Associates team provide clay tile roofing restoration services for historic homes, private estates and commercial properties throughout the Southeast. 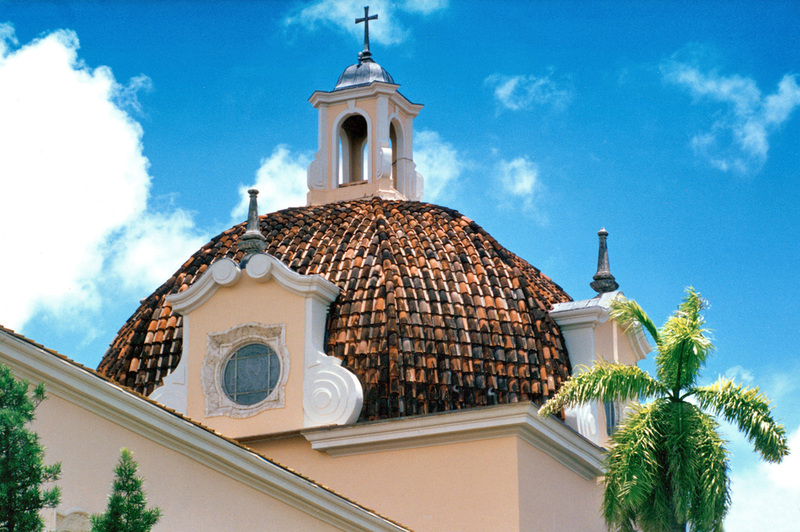 We also perform clay tile roofing, restoration and replacement services throughout the rest of the U.S. and overseas. With a proven track record of more than 40 years, we’ve developed an impressive reputation for quality, skill and outstanding customer service. Visit our blog to see pictures of the projects mentioned above and read case studies about some of the many other clay roof tile restoration jobs we’ve completed in the past. Ready to get started? Contact us today at (828) 275-7678 to learn more about how we can help you. According to historians, the use of clay as a roofing material occurred independently in two distinct hubs: First, around 10,000 B.C. in China and shortly after that in the Middle East. Later, the use of clay roofing quickly spread into the rest of Europe and Asia, where it quickly replaced thatch as a roofing material for important buildings such as religious buildings, government buildings and the homes of the upper class. In Lerna in Greece, archeologists found the remains of terra cotta tile roofs that date back to the third millennium B.C. It’s interesting to note that because the first clay roof tiles were quite bulky and heavy, their use developed simultaneously with a new building technique: that of monumental architecture. Monumental architecture replaced construction with wood and mud bricks. Instead, it relied on massive blocks of stone that were strong enough to support clay tile roofing. In the 14th century in Europe, city rulers started banning the use of thatch in cities due to the risk of fires. As a result, roof tiles quickly became more widely used. Small, independent tile makers would settle by the banks of rivers where they could source their own clay, fabricate the tiles and ship them easily by water to their customers. Eventually, clay tile roofing was adopted in the New World, where builders prized it for its fire-resistance — an important quality as populations began to concentrate in densely packed cities with lax safety standards. By the mid- to late 18th century, there were multiple clay roof tile manufacturers in the New York area, as well as in California. After 1825, the use of clay roof tiles declined in the northeast of the U.S., as many people outside the city preferred the lighter and less-expensive option of wood shingles. At the same time, inside the cities, affordable fire-resistant materials such as slate and metals were rising in popularity. However, the rise of Italianate Villa architecture in the mid-19th century gave new life to clay tile roofing, with many affluent people commissioning terra cotta roofs for their homes. As a result, several new roof tile factories were established. Today, you'll find clay roofing tiles on various types of properties, including large estates, historic homes, government buildings, banks, hotels and more. Several manufacturers, including Ludowici, produce attractive clay tiles in a range of colors, shapes and sizes. There is also a growing market for skilled clay roofing restorers, as an increasing number of people recognize and value the historical significance of clay roofs on older properties. 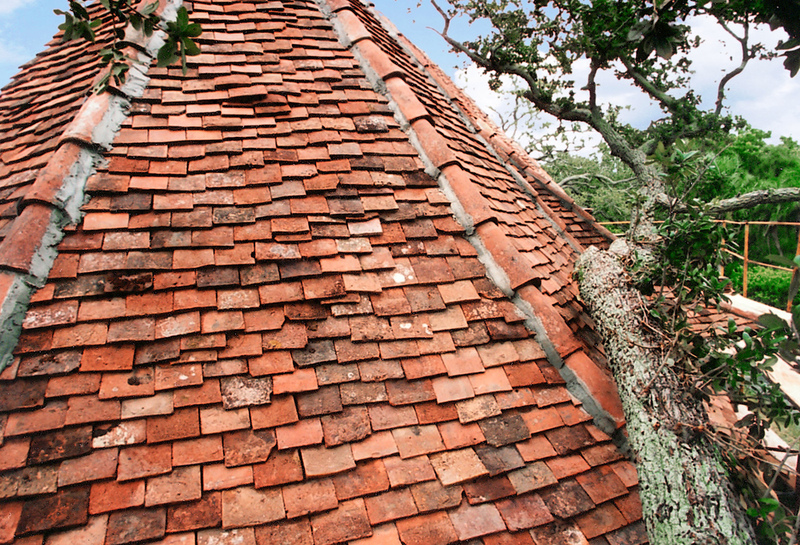 Durability: Clay tiles perform better than many other roofing materials in harsh conditions like earthquakes, hurricanes and other extreme weather. They are naturally resistant to corrosion, and they won’t rot over time like wooden tiles. Your investment in a set of high-quality clay shingles can be counted on for years of reliable performance in any environment. In fact, a well-maintained clay tile roof can last well over 50 years depending on the climate. Insulation: Tile roofing is an excellent insulator because air can circulate underneath the tiles. This keeps your home cool in the summer and warm in the winter. As a result, you’ll enjoy more stable indoor temperatures without having to rely on your furnace or air conditioner. Let Huber & Associates match you with a product that will save you a significant amount of money on your monthly utility bills. Appearance: Even the most basic clay tile roofs have a unique look that can't be mistaken for anything else. When installed or restored by an expert, they can have additional aesthetic qualities, such as the use of circular patterns or different colors. Clay tiles, clay shingles and terra cotta shingles are also highly resistant to fading, so your home will retain its appearance well into the future. If you're looking for a way to set your home apart from the neighbors and truly express your individuality, consider this classic material. Value: Due in part to its longevity and superior quality, clay tile roofing offers one of the best overall values of any roofing product. Not only can clay lend aesthetic appeal to a structure, but it can also add significantly to your home's resale value. Explore your many options with one of our representatives today. Maintenance: Clay roofing is easy to maintain and requires little ongoing service. The tiles aren’t susceptible to things like rot or moss growth, which reduces the need for maintenance significantly. Usually, maintenance involves nothing more than clearing away debris from the slots or replacing broken or missing tiles. And when a section of your roof does get damaged, replacing individual tiles is quick and easy. Huber & Associates sells and installs handmade tiles made from vitreous clay. Because the refractory particles in the clay are fully fused together, the tiles become completely water-resistant. Moreover, vitreous clay is a very durable material that can easily last for 50 years or longer. In some cases, the tiles themselves can last a lifetime if the underlayment — the component responsible for keeping your property dry — is replaced periodically. Next, it’s carefully placed over a curved mold to provide it with the curvature needed for the tiles to fit together and lead water off the roof. Holes are punched into the corners so the tile can be attached to the roof, and the tile maker usually imprints the tile making company’s logo, as well as the batch number, into the clay. Then, the tile is left to dry for up to 36 hours. When the tile is completely dried out, it’s fired in a kiln at an extremely high temperature for up to 12 hours in order to vitrify it. When making clay tiles, sands can be used to achieve different textures as well as various colors. However, there are also other factors that can impact the color of the tile, such as the clay’s chemical composition, the type of wood or other fuel used during the firing process and the amount of oxygen in the kiln. Red tiles are made out of clay that contains iron oxide. Extremely high levels of iron oxide make the tile blue, and magnesium oxide results in yellow tiles. Adding chalk or limestone will result in a deep yellow color. You can find our clay tile roofs in homes throughout the Southeast, where they are the ideal complement to both the region's climate and dominant architectural styles. Huber & Associates offers many different types of tiles including Spanish, barrel and flat-shaped, all of which are available in a variety of colors and blends including terracotta, warm earth tones, cool grays and refreshing green. Questions about our clay tile roofing services? Submit the form below and we will be happy to speak with you. Clay roofing has many potential applications. It is an excellent choice for both homes and businesses, where it offers a highly distinctive curb appeal that will make your property stand apart from its neighbors. Though prevalent in the Southwest and Southeast regions, there's no reason it can't be used in more temperate climates as well. In fact, due to its excellent insulating properties, clay roofing can make a considerable impact on your monthly heating bills when colder weather rolls in. In addition to high-end homes and estates, clay tile lends a unique look to banks, private clubs, restaurants, hotels and more. As an example of the many applications of clay roofing, consider one of the projects Huber & Associates completed for Hubert Whitlock Builders. The design and construction company’s project manager, Cliff Newbury, called on us for advice and installation when a unique roof was needed for a sprawling, high-end private residence. 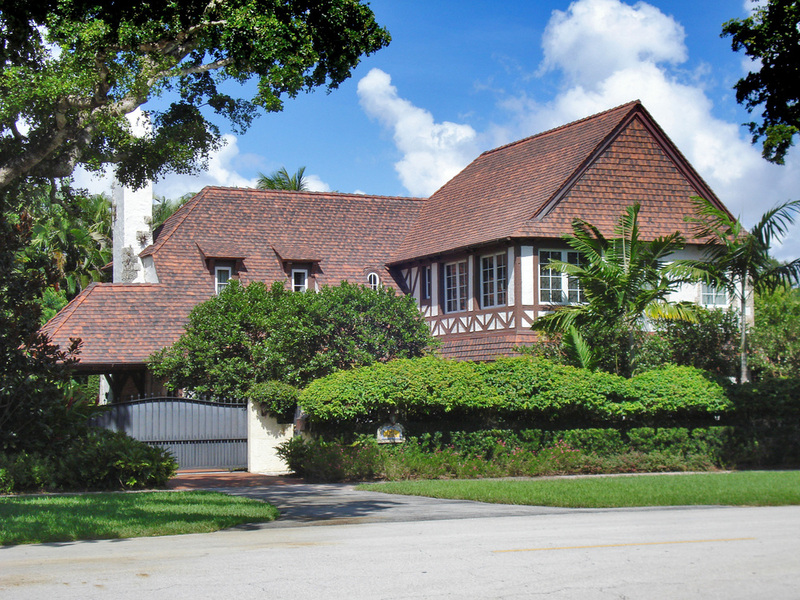 After considering many options, Hubert Whitlock Builders’ team decided on European-style clay shingle roofing. They imported the tiles from overseas and entrusted us with the installation of the almost 20,000-square-foot roof. The final project costs amounted to approximately $1 million. The result was an aesthetically pleasing yet durable roof that complemented the overall elegance of the beautiful residence. You can find clay tile on many historical estates and other older properties. Over time, individual tiles can become damaged or go missing. Missing tiles can lead to leaks that slowly compromise the integrity of your roof, as well as cause drafts and other issues such as mildew and mold. As you may know, mildew and mold can cause structural damage to your home as well as pose a health threat. Black mold (stachybotrys chartarum), especially, which thrives in dark, dank spaces like inner roofs that are affected by leaks, can be highly toxic. It can cause severe respiratory issues such as chronic shortness of breath and coughing as well as allergy-like symptoms, headache and chronic fatigue. In severe cases, it can even cause bleeding in the lungs. It should be clear that taking care to replace any damaged or missing tiles when necessary is the best way to keep your roof looking great for the long term — and keep your home working its best. Huber & Associates provides clay tile roofing repair for customers across the United States and internationally. Whether we installed your roof initially or not, our team can work quickly to replace broken tiles and prevent damage from spreading to other parts of the home. We can also provide Ludowici clay roofing restoration or replacement. We can also provide more extensive restoration services for historical properties. Clay roof restoration is a painstaking process that involves assessing each tile, repairing or cleaning those that can be salvaged and sourcing replacements for those that can’t. Our team is unique in its ability to bring new life to aging properties through a combination of repair expertise and diligent research. We can consult with historical records and locate new tiles to perfectly match those already on your home. Huber & Associates can also provide clay tile re-roofing for older properties that have been damaged beyond repair, or for homeowners who want to change up the look of their house. Replacing asphalt or other shingles with clay tile offers several big-picture benefits, including improved durability and longer service life. While asphalt roofs typically require replacement every 20-25 years, clay tile can last far longer if properly kept up. When we perform a clay tile re-roofing, we work quickly to minimize disruption without compromising quality. 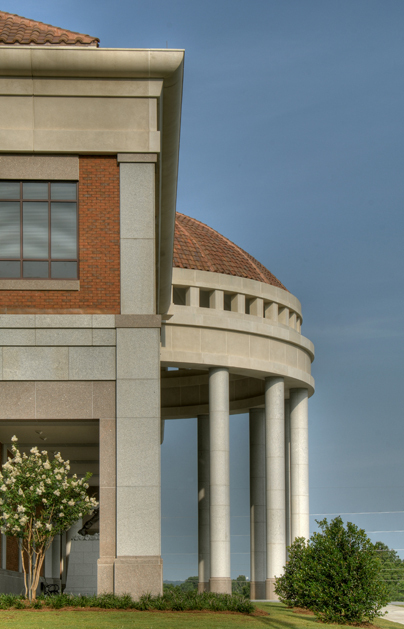 Our technicians have extensive experience working with clay products — depending on your design needs, we can source an appropriate shingle from one of our many manufacturer partners. While most people associate clay tile with Spanish Colonial architecture, today's sophisticated manufacturing techniques have opened up its aesthetic possibilities. Clay tile can be cut to any shape or size, and finished in practically any color. Check out our photo gallery, below, to see examples of some of the work we’ve done in the past. You can also visit our blog to read detailed case studies and learn more about the re-roofing and repair processes. Re-roofing and restoration serve different purposes. While repairing minor damage to an existing roof is usually more cost-effective than replacement, a more extensive restoration can be a long and expensive process. However, restoration is the best way to preserve the character of an aging property. Re-roofing, on the other hand, is an opportunity to change the look of your home or business dramatically. Re-roofing is the perfect choice if you want to switch to clay tile, clay shingles or terra cotta tile roofing from another material. It also gives you the opportunity to make upgrades to your roof that will improve its insulation or functional properties. If you’re interested in re-roofing or restoring your roof, a Huber & Associates representative would be happy to sit down with you and go over the pros and cons of either option in detail. Each project is unique, and our goal is to help you make informed choices based on your property, your budget, your timeline and other considerations. Huber & Associates has won numerous commendations from historical preservation societies for our expertise and diligence in restoring aging properties. The National Roofing and Contractors' Association has named us a Gold Circle Award winner — one of the highest honors in our industry. We strive to deliver results while making the repair or re-roofing process easy and transparent. Because we pride ourselves on delivering the best possible value, we offer a fair price for quality work and stand behind everything we do with excellent customer service. Read more about what other people have said about their experience with Huber & Associates on our Testimonials page, or contact our office for assistance. Clay tile roofing is a specialized product — one that only a few contractors know how to work with properly. Failing to install a roof correctly can lead to leaks or damage. 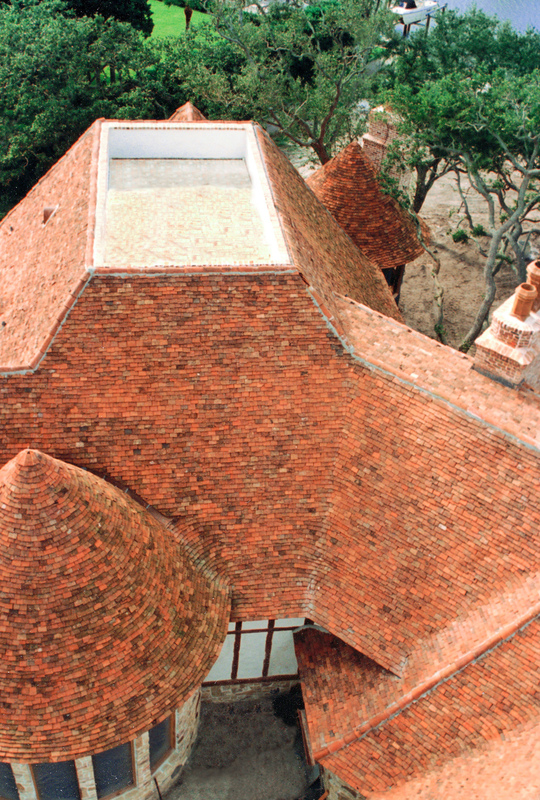 For a reroofing or clay tile restoration project, the success or failure of the job depends on a contractor’s ability to match the original roof while adding upgrades that enhance its structural integrity. Huber & Associates has a long history of working with discerning clients to meet all their roofing needs. We can provide custom clay tile roofing repairs, Ludowici clay roof replacement, historic clay shingles restorations and more. Give us a call today at (828) 275-7678 to learn more about our clay tile roofing and roofing restoration expertise. For more than 40 years, we have been providing historical restoration and preservation to roofs all over the world. Discover for yourself the benefits of working with an expert by making Huber & Associates your partner for any upcoming custom clay tile roofing project.